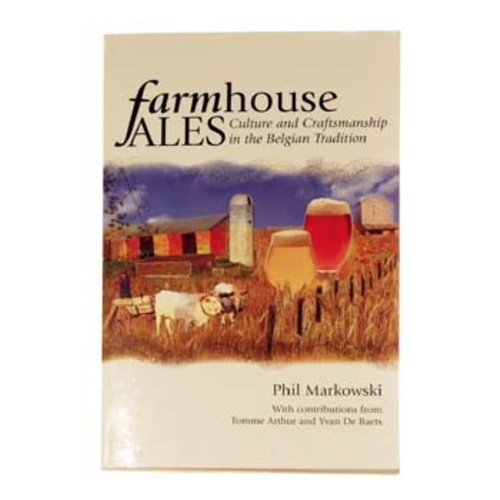 Experienced brewers will discover a hidden gem of information in this book on Belgian Farmhouse Ales. If you want to dive deep into the history and methodology of Belgian Farmhouse Ales, then this book is for you. Written by Phil Markowski with contributions by Tomme Arthur and Yvan De Baets, this book contains a wealth of practical information for the experienced homebrewer. It covers the styles of Biere de Garde and Saison: how they originated and evolved, along with the specific ingredients and methods used to produce these great tasting ales. Not for the beginner, this book will give you special insight, recipes, and techniques for making delicious farmhouse ales. I've had this book for 3 years and I am always going back to it and getting bits of info from it. It's not a technical manual on how to be a better Saison Brewer as the other reviewer wanted it to be, It's a collection of information that you will not find anywhere else regarding the style and specific beers and breweries,Grain bills,hops,fermentation,etc. The 7 pages on the Dupont Yeast alone provided me with the information to have complete success w/ the strain. Excellent reference book that takes a look at a many classic Saisons and gives you a small breakdown on the recipes. Along w/ B.L.A.M. it's a go to in my brewing library,A must have if you brew or even just enjoy the style! I thought it would have gone more into the specifics of different farmhouse ales but it was more of a history story. Interesting read, but wont contribute to your beer making skills so much.